This Saturday, April 8, Prof. Harald HHW Schmidt will give a keynote lecture at the opening session of the Russian Cardiology conference, Moscow, on big data in cardiovascular pharmacology and drug discovery. THE THIRD INTERNATIONAL CONFERENCE WITH THE SUPPORT OF THE EUROPEAN SOCIETY OF CARDIOLOGISTSCARDIOVASCULAR PHARMACOTHERAPY:FROM THEORY TO PRACTICE. 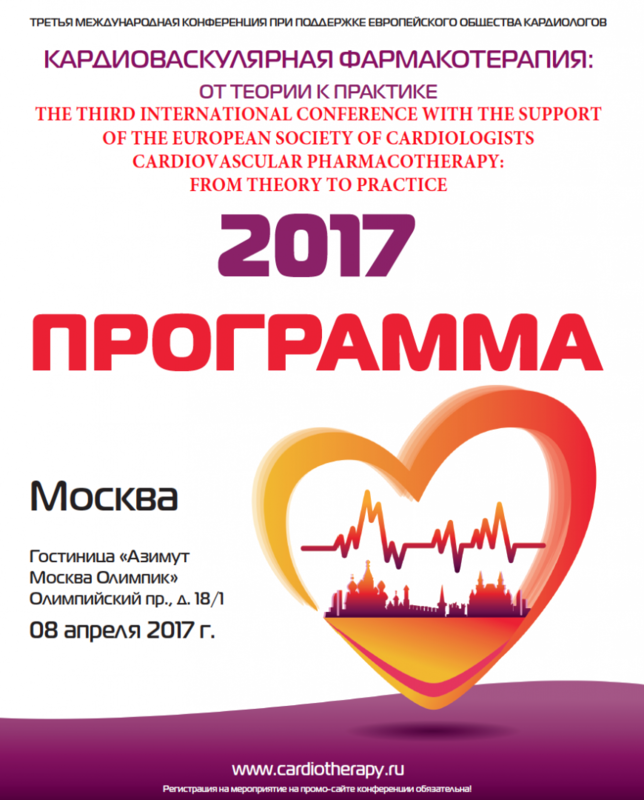 This is the third conference, which is held at the initiative of the Working Group "Cardiovascular Pharmacology" of the European Society of Cardiology, FGBU "Central Clinical Hospital with a Polyclinic" of the Office of the President of the Russian Federation and the Russian Scientific Medical Society of Physicians (RNMOT). The organizer of the conference in the Russian Federation is the National Scientific Society of Inflammation, a member of the International Association of Inflammatory Societies (IAIS). The European Society of Cardiology and the National Scientific Society of Inflammation are responsible for the formation of the scientific program of the conference. Within one working day, symposiums will be organized to discuss the most acute problems in the prevention and treatment of cardiovascular diseaseWith an emphasis on the management of comorbid patients. The main mission of the event is to make the latest advances in cardiovascular therapy in the hands of a practitioner. High educational and scientific level of the event is provided by inviting leading foreignAnd domestic specialists. All modern information technologies will be used in conducting scientific events.